Slice avocados in half and remove pits. Set aside. Combine all other ingredients in a bowl. 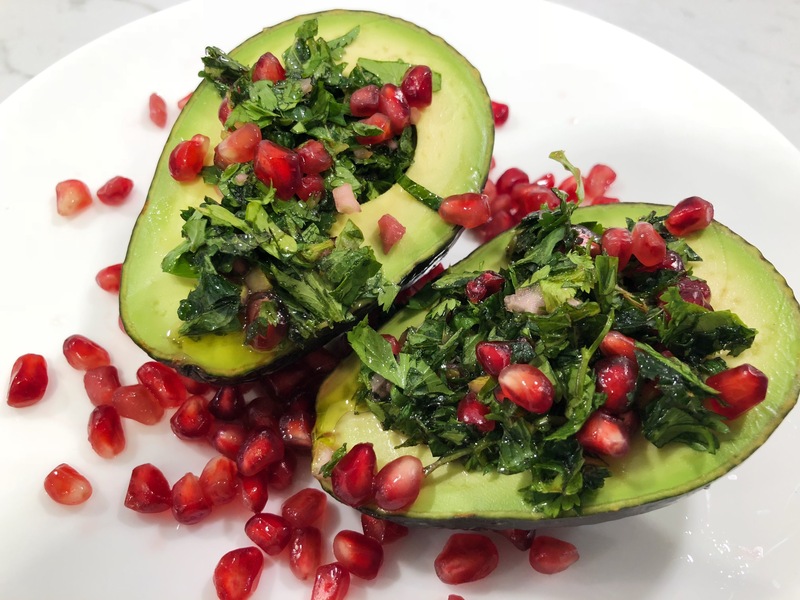 Spoon pomegranate mixture into the center of avocados. Top with a few extra pomegranate seeds, or a squeeze of lemon. Serve right away and enjoy!